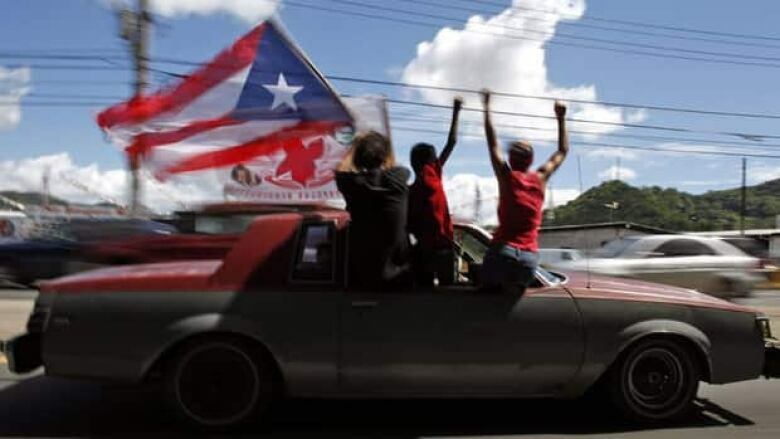 A slim majority of Puerto Ricans sought to change their ties with the United States and become the 51st U.S. state in a non-binding referendum that would require final approval from the U.S. Congress. The two-part referendum asked whether the island wanted to change its 114-year relationship with the United States. Nearly 54 per cent, or 922,374 people, sought to change it, while 46 per cent, or 786,749 people, favoured the status quo. Ninety-six per cent of 1,643 precincts were reporting as of early Wednesday. The second question asked voters to choose from three options, with statehood by far the favourite, garnering 61 per cent. Sovereign free association, which would have allowed for more autonomy, received 33 per cent, while independence got 5 per cent. Puerto Rico's resident commissioner Pedro Pierluisi, who has championed statehood, did not return calls for comment. He received 48 per cent or 874,914 votes, while his opponent, Rafael Cox Alomar, received 47 per cent or 855,732 votes with 96 per cent of precincts reporting. The future of the island's political status, however, also is dependent on who governs the island. According to partial election results, pro-statehood Gov. Luis Fortuno was ousted by a razor thin margin by an opponent who supports the island's current political status. With 96 per cent of precincts reporting, challenger Alejandro Garcia Padilla with the Popular Democratic Party received 48 per cent or 870,005 votes. Fortuno, a Republican and leader of the New Progressive Party, received 47 per cent or 855,325 votes. "I can assure you we have rescued Puerto Rico," Garcia said. "This is a lesson to those who think that the well-being of Puerto Ricans should be subjected to ideologies." Election results also pointed to a major upset for Jorge Santini, who has been mayor of the capital of San Juan for 12 years. His opponent, Carmen Yulin Cruz, received 71,736 votes compared with Santini's 66,945 votes with 96 per cent of precincts reporting. The island's elections commission said it would resume counting votes late Wednesday morning.